Back To The Hard Rock and Glam Metal! Favorite album of all time? There are so many albums I love.. If I gotta pick one its Second Helping by Lynyrd Skynyrd…. What is the first CD or LP you ever bought? The Beatles... "Hard Days Night"
A guitar: I love Gibson and Fender guitars. My first guitar was a Blue Silvertone. As you describe yourself ? I' m a blues based SouthernRock/Rock singer and guitarist. Gary, what are your most recently completed projects and what are you currently working on? I like to write music and I spend a lot of time recording new songs. I love playing live and have recorded 8 cd’s to date. I’ve been on MTV, VH1, CMT, GAC VIDEO TV. I was signed to Virgin Records in 1991. I've been in groups such as Asphalt ballet, The Regulators, Alligator Stew and currently Gary Jeffries Band at Garyjeffriesband.com. I’m currently working on a new cd. Who were the bands or musicians who had the greatest influence on you? I’d have to say Lynyrd Skynyrd, Bob Seger, Aerosmith, John Fogerty and CCR. What can you say about the days of the "Asphalt Ballet "? What are your memories of that time? Asphalt Ballet was a great band. Great musicians and some incredible songwriters. Our Live show was a great spectacle. We were better live than on CD. We worked really hard and was probably one of my greatest bands I had the honor to work with.Well it was 1991. We released our CD the very same day Nirvana released Teen Spirit. We even had the same producer do our video Soul Survives and their video Teen spirit. Grunge came in and changed the music scene. None the less Asphalt Ballet was a great band and we had a great time. Who has been your vocal influences throughout your career? Bob Seger, Ronnie VanZant, Elvis Presley, John Fogerty, Tennessee Ernie Ford. What has been the most exciting moment of your career thus far? I think getting a record deal in 1991 and doing music videos for MTV. Traveling the country in a tour bus and playing full blown concerts every nite. Being in Rock magazines like Circus, Hit Parader and many more. I can't forget opening for Lynyrd Skynyrd with Alligator Stew. I have been a very lucky musician. I didn't get rich with money , but it's made my soul very rich…. What are the differences with songwriting/recording on the new album as compared to your previous albums? 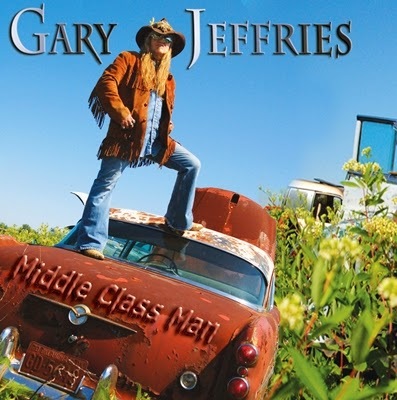 I’m currently working on a new CD with my band The Gary Jeffries Band. @ garyjeffriesband.com. its southern Rock/country Rock. I love this style of music. I have a 3 guitar band with keyboards, bass, drummer and as I said 3 guitarists. 6 piece band… Hope to have this CD out this summer, I will keep you posted. Derek Davis - Babylon A.D.